Welcome to my Case Blog if this is your first time here! These are my actual patients with no editing. If there are any questions about the case or process, please post below and I can answer them. I’m trying to write one every other week, so stay posted and give me a thumbs up! There was a previous question about how we handle implants in the meantime while tissue s are healing. This is an important step, because we do not let patients leave after surgery without teeth (or temporary teeth). This is a patient of ours. 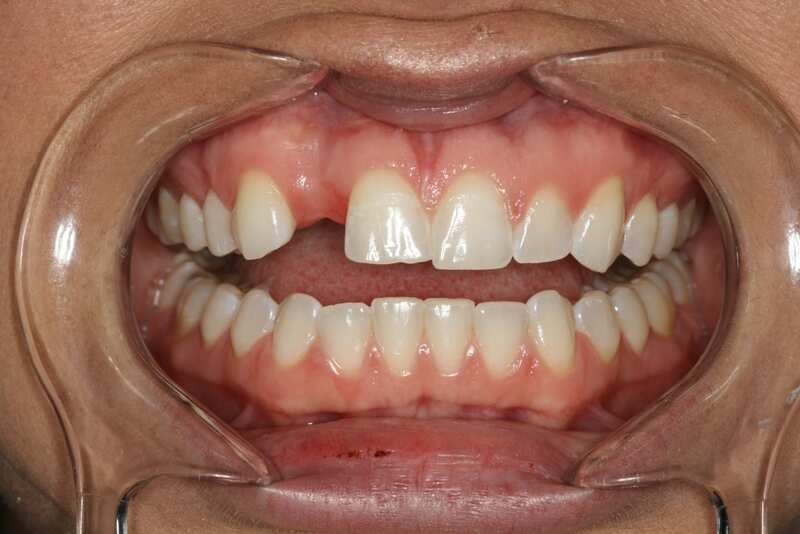 She is 26 years old and was missing her lateral incisor, it never grew in. 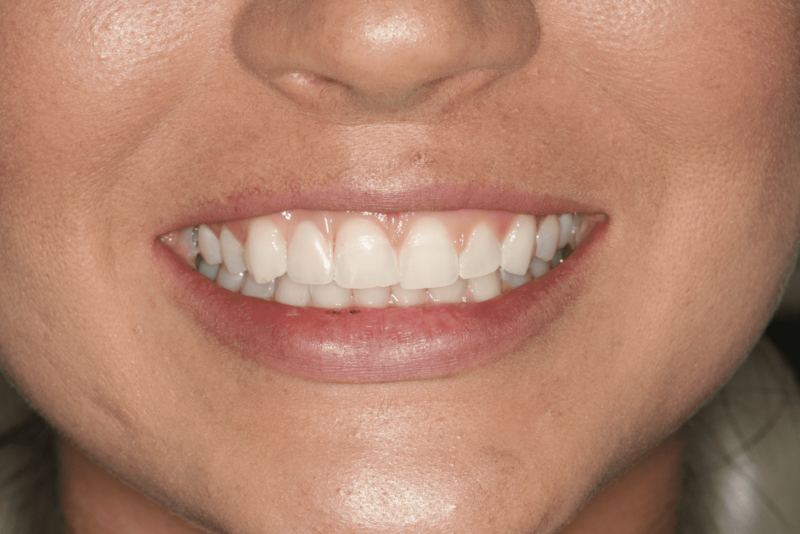 We talked about her options: Teeth Whitening, Bridges or Implants. The patient decided that a bridge was out of the question since she didn’t want to wear to damage her natural teeth on either side of the missing tooth. A flipper is a temporary tooth that will replicate the missing tooth in the meantime while treatment is being performed. 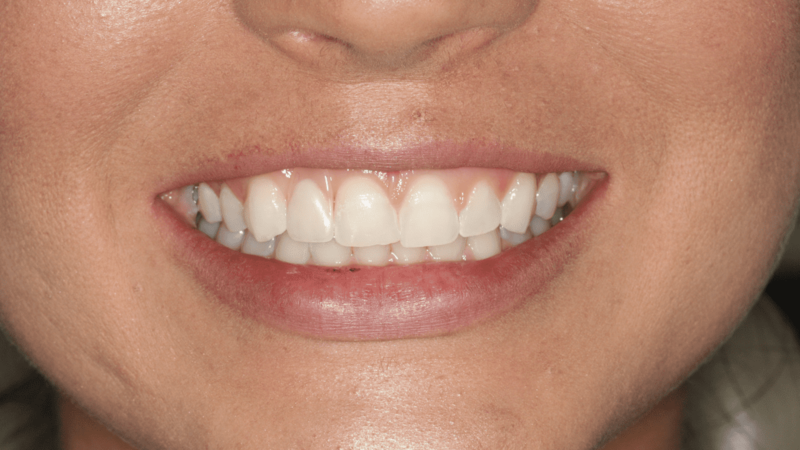 We mapped out a treatment plan which included Teeth Whitening and an implant. In the meantime, she needed a temporary tooth while the implant was healing. This is a fast impression process and takes a couple days to return the tooth from the lab. Following the surgical placement of the implant it is typical to wait 4 or more months for the healing process to occur prior to the fabrication of the new tooth. It is vital to be satisfied with the temporary situation in the meantime to maintain a normal lifestyle. This is her current temporary situation and she is in great position to begin the implant process in the near future. We make the recommendation that patients wear a night guard once porcelain crowns are in place in order to protect the porcelain from bad dreams. The patient was happy at the end. Copyright © 2018 by DentistrySD.Com. All rights reserved.